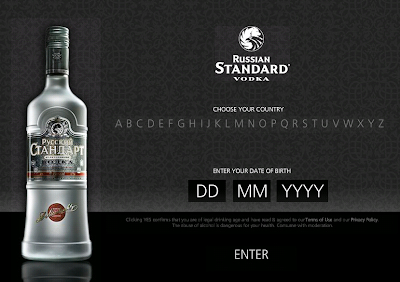 From Russia, with love, here is the link to the new Russian Standard Vodka website. I like the idea that the first level of content is all video based and starts playing automatically when you open up the site. So you get a nice overview of the differente sections and you learn all the basic information about the vodka without reading anything. Its really interactive and this is how website should be rendered in the first place. Competition when it comes to alchoholic brands are fierce, therefore it's good to see Russian Standard Vodka managed to create something interesting to explore in a crowded space. vodka..... i just love it.